Over 150 patients and staff had the opportunity to listen to live music from musicians Oli and Jamie on Thursday 19th May at the Royal Gwent and St Woolos Hospitals, Newport as part of Gwent Arts in Health’s ongoing music programme. 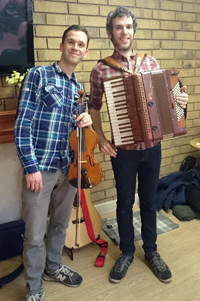 Oli and Jamie (Violin and Accordion, and Guitar) played to patients awaiting treatment in Main Outpatients and Ophthalmology, and to acute patients on Sycamore Ward. The project enables those who would not have access to music due to their stay the chance to hear a professional concert with popular songs and tunes that bring a lively and sometimes thoughtful moment to their day. In waiting areas, patients and relatives can enjoy a pleasant distraction from what can sometimes be an anxious time. Gwent Arts in Health have been delivering the music programme for over 10 years and aims to have one music day per month. The views of staff and patients are encouraged with feedback forms available at the time of the performances so that Garth can ensure that the music suits the taste of the audience, and that the performances do not interfere with staff delivering healthcare. Feedback from patients on the 19th May included: “Loved every second”, and when asked if we should continue the programme: “Yes please”. One patient commented that it “takes your mind off your aliments”, and that it was “Great for a long wait in outpatients”. Oliver Wilson Dickson and Jamie Smith are originally from South Wales, and play professionally with ‘Jamie Smith’s Mabon’, ‘Alaw’ and ‘The Devil’s Violin’, touring both nationally in the UK and around the world. Gwent Arts in Health’s music programme also includes a Seasonal Staff Choir which is open to all NHS staff, and will meet again in the autumn at St Woolos Hospital. Garth’s programme also includes visual arts and crafts, creative writing, performance and engagement, with projects across the ABUHB. Garth’s programme is funded in part by the ABUHB’s Charitable Funds Committee to support arts projects that improve patient experience in the ABUHB and its communities. 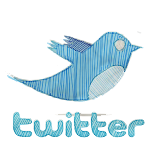 We always welcome enquiries from musicians who woudl like to play in our hospitals. For more information, please contact Sarah.Goodey@wales.nhs.uk / 01633 234517.